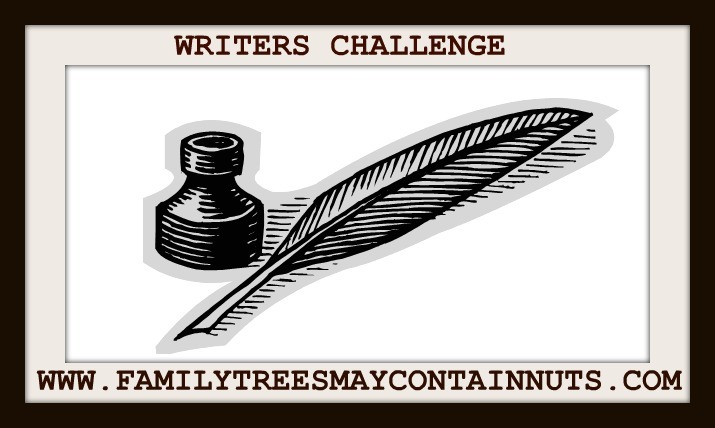 I think it is time for a new Writers Challenge but this time I am going to get you guys to come up with the topic and then we will go with the favorite choice. For those of you who are not familiar with this meme it is a very low pressure challenge. We will have a topic and we will write a post about that subject and link up so everyone can visit and read each others posts. Never done a link up before? Don't worry. We can help you.The date will be March 18th and we will run the meme through the weekend so you have a few days to link up. These topics have already been done so lets come up with something new. 1. The nicest thing anyone has ever done for you. 2. What is your favorite movie and why. 3. Teachers in your life. 4. Favorite place to visit in the world. Now it is up to you guys to come up with a new topic. Just leave your idea here in a comment and we will go with the most popular choices. If you want to read the previous ones just click on the lines above. Even if you don't have a blog you can join in. Write something and I will link it up here. Grab the badge from my sidebar to post on your blog. I am going away for a little bit but will try to get some web access to touch base with all of you. Oh that would be good Vicki. Who would you most like to have dinner with (from any time in history). I don't have a pet, so I would be out on that one! What do you wish someone would invent and why? There's got to be a lot of topics out there! Oh geez, I am absolutely NO GOOD at stuff like this. Someone else will have to come up with the topic -- it won't be me! And forgive me for being so late in thanking you for your kind words earlier this month, when my Dad passed away. I truly appreciated the support and comfort from fellow bloggers -- thank you. And, yes, I am very aware that my sister and brothers and I are very lucky ducks in the parents we ended up with -- they could not have been better. They've been role models for all of us with our own children. I hope my kids remember me with as much fondness someday! Right now they call me "Crack Mom" so anything would be an improvement.